The key to a successful production is clear communication between crew members. Since the beginning, Go To Team has always had one staff member that our clients have 24 hour access to. If you need a video crew in the middle of the night or if you’ve got details to relay at the last minute for tomorrows shoot…our on-call pager makes this process very simple. 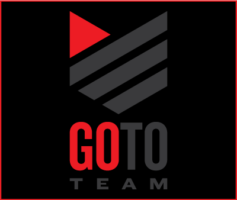 Go To Team understands the frustration we all have when needing a crew or just needing answers immediately. Often in the freelance world it is hard for a particular crew member to answer his/her phone due to a number of different scenarios. Many times the crews are working hard on location for another client. Even if you do happen to catch these busy folks on a break they often are unable to confirm availability until they are in front of their calendar. At Go To Team you call one number 24 hours a day and without delay, know the availability of crews throughout North Carolina, Florida, Georgia, & South Carolina. We take pride in being accessible with answers instantaneously. We are the simple solution to your video crew and production services. We are bigger than just you’re go to guy, We are the whole team.